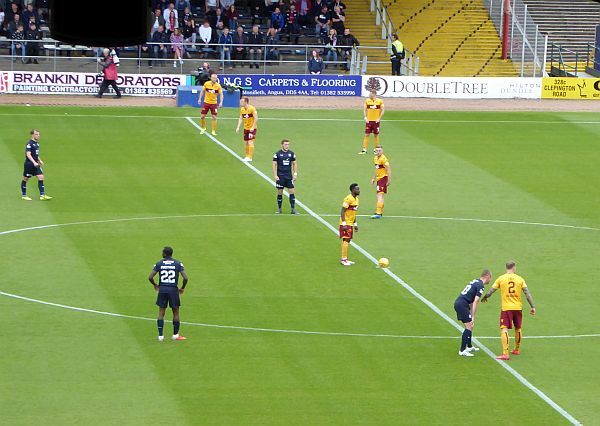 Motherwell's success against Hibs on Wednesday will send the team to Dens Park this weekend in good heart. If we can produce another high tempo performance there may be more claret and amber joy. The contrast between the dire Scottish Cup exit and the revitalised display that delivered the points in the first league game of the year was immense. The manager deserves credit for making five changes but it was the players that earned praise for the committed effort on the pitch. There were so many fine contributions but the young pair of local heroes, Jake Hastie and David Turnbull, deserve special mention. The highlight was the excellent winning goal. The superb run from Hastie followed by clinical finish from Turnbull will not have gone unnoticed by others. Dundee produced a surprise result at Tynecastle on Wednesday but we still have a comfortable eleven point lead over the second bottom side. Our recent record at Dens Park has been excellent. There were three wins last season and in September Campbell, Bigirimana and Johnson scored on the way to a 3-1 victory. There will be no criticism if the manager chooses to give Wednesday's winners another start but it would seem that he has plenty of options. Let's keep up the good work with a third consecutive league win and a 2-0 triumph on the road.